TFS service now supports git repository for source control, while on premise TFS will gain this support in the next major release of the product (no date available). The native TFS source control is good enough and the support for git is great. We’ve got used to the online centralized TFS source control repository. However, we got to work with the eclipse IDE in a recent project. Since TFS service supports git repository, we don’t have to setup new source control system for git now. 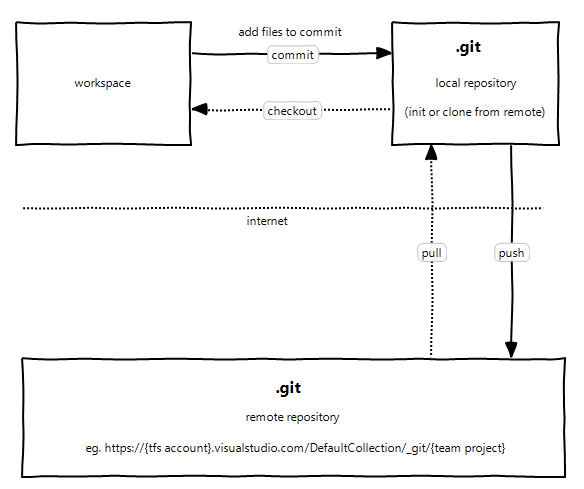 TFS as a git server supports git repository and any standard git client can connect to it. Visual Studio 2012 Update 2 CTP 2 supports git client. In the eclipse IDE, developers can install egit plug-in from the update site, say, http://download.eclipse.org/releases/juno. If you prefer to command line or file explorer shell extensions, Git for Windows and/or TortoiseGit are ideal candidates. There are many version/source control solutions for Eclipse. Microsoft Team Foundation Server 2010 (TFS) provides developers with the Microsoft Visual Studio Team Explorer Everywhere 2010 with SP1 as an Eclipse plug-in. When you create a new Android application project, it is the first step that you select an API level as the project build target. You may afterwards change, for example, the API from Android 4.2 (level 17) to Google APIs 4.2 (level 17). 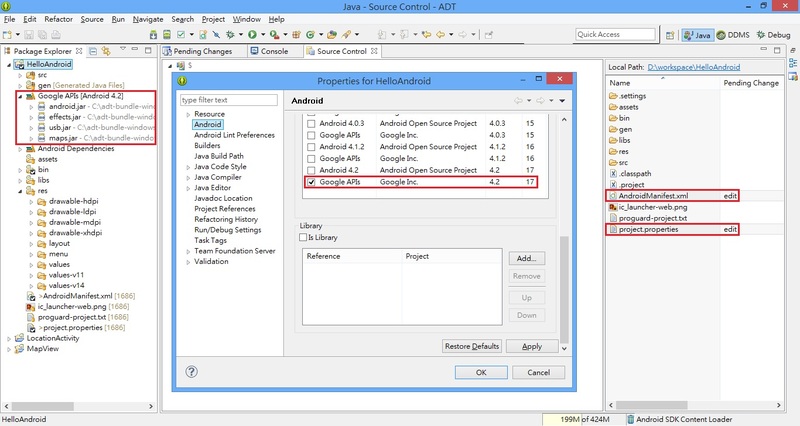 You won’t make it because the project files are read-only if the Android project is under the control of TFS.